Charles W. Ranson Consulting, Inc.
James W. Lovely, B.B.A., M.B.A., J.D. James Lovely provides expert witness, litigation support and consulting services concerning swaps, derivatives and other capital markets products. He has both academic training and extensive and varied executive and legal career experience with financial products and in financial markets. Arlington, TX banking law expert witness attorney Bruce A. Heitz specializes in financial institution regulatory law. 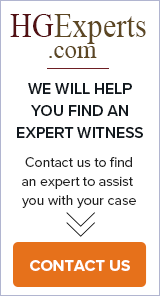 He provides expert witness testimony for banking law and bank regulation.